First of all we must know what are VEDAS. The Vedas are not a book, rather it is knowledge originated by GOD in the heart of four Rishis. At the time of beginning of the earth those Rishis preached the Vedas by mouth and all others remembered the same by word of mouth and become learned. That time there was no pen, pencil, paper, etc. This process of studying Vedas by mouth remained till the Mahabharata time. RIG VEDA:– gives knowledge of science, matter of the universe like sun, moon, air body etc., etc. YAJURVEDA:– gives knowledge of all the deeds and duties to be performed by men, women, students, leaders, kings, agriculturists etc., etc. SAMVEDA:– gives knowledge on how to worship God , who gives peace and long happy life. In Samveda , qualities and nature of the God are also given. Samveda also gives knowledge of Yoga Philosophy. ATHARVAVEDA:– Gives details of God, medical science and details of medicines etc. Actually in four Vedas there is unlimited knowledge. The Yajurveda mantra 40/8 says that God is everywhere, is almighty, formless, devoid of nervous system, purest, away from sins and does not have to face any result of any Karmas (Deeds), knows every soul, knows what is in everyones mind, no body has made GOD, but God creates universe, has given the eternal knowledge of four Vedas and always gives the said knowledge at the beginning of every universe. As already mentiponed that the Vedas are not a book, it is knowledge originated in the hearts of Rishis and Rishis preached the Vedas by mouth. Muni Vyas too remembered Vedas traditionally by heart. Muni Vyas for the first time wrote the Vedas on Bhoj patra about 5300 years ago. In 16th century printing press came into existence and then the Vedas were printed. Vedas are still those which are preached by word of mouth by an Acharya / Yogi and the printed Vedas are called Sanhita. Now if someone worships an idol or statue etc., it is his own creation. According to the Vedas the best creation of the God is Yajyen (Havan) for which all Vedas are self proof. Yajurveda mantra 31/6 says that the learned persons worship God the Yajyen. So many people have asked me (Swamiji) that most of the scholars/preachers of different religions that their religion incorporates all matters of the world including science. What about Vedas ? I wrote so many Ved mantras describing science matters therein. For example, Yajurvaveda Mantra 3/6 states â€œ Ayam Gauhu Swaha Pitram Puraha Prayan Mataram Prishnihi Aakrameet Asadat. Meaning: This earth revolves around the Sun in the space and it also rotates on its own axis. Vedas are eternal like God because Vedas emanate from God. Now, according to Vedas, this present creation is about 1 Arab, 96 Crores, 8 Lakh and about 53,000 years old. So are the Vedas but as said in Rigveda Mantra 10/191/3 the present creation is same as was the previous one and this process of creation is eternal. So are the Vedas which emanate from eternal God. 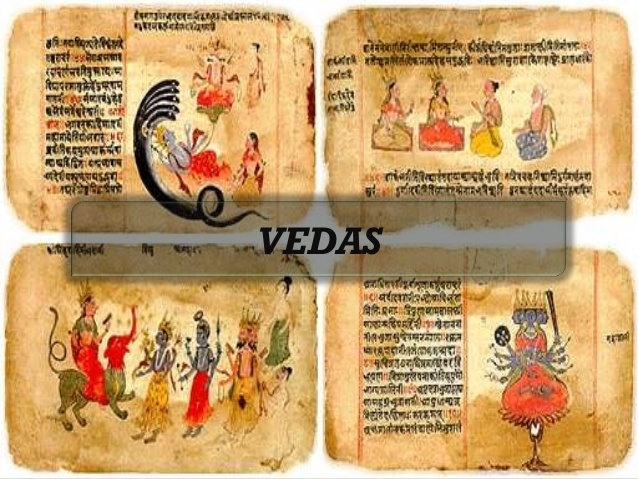 This all concludes that Vedas also are the oldest in this creation and no other book of science, mathematics or pertaining to spiritualism is written before Vedas. Like the above example of rotation and revolution of earth, the significance of whole present science is mentioned in Vedas. We can see that whatever is happening in the universe is all according to the Vedas. For example, occurrence of six seasons, actions of Sun, Moon, process of death, birth, worship, yoga philosophy, atomic energy, solar energy, education, agriculture, animal husbandry, knowledge of politics, administration, business principles , architecture, knowledge of home appliances like mixer, grinder, about men, women, children, marriage, brahamcharya, education, clothes etc., I:e., knowledge right from a straw to Brahma is all in Vedas. God is Almighty and has unlimited powers. So through His power He is able to originate the knowledge of Vedas in the heart of four Rishis without pencil, paper, help of mouth or any other worldly assistance. We, i.e., the whole world depend on Almighty God but God is independent. That is why, He is God. We are the souls who reside in human bodies. We need assistance of senses, perceptions, mind and body to do our deeds but not God. Now days, so many saints are writing books. What is the background to write their books? Background is clear that they have first studied or listened to the preaching from their Gurus, keeping aside the matter of truth or falsehood. And after studying or listening to the same, they became able to write the books. So this is also fundamental law, based on which, the ancient Rishis first listened Vedas and when they became learned then only they wrote the Vedic books like Valmiki Ramayana, Six Shastras, Mahabharat ( Bhagwad Geeta), Upnishads, etc. So, first the knowledge of Vedas is initiated in the universe and afterwards other books come into existence. Somebody may say that human beings have knowledge by their nature to create anything like books etc., but we see that the newly born baby who is nursed in a jungle, in the absence of knowledge of a learned person, he becomes incapable to do anything. Thus, he cant be M.A, M.Sc., doctor or an engineer etc. So there are two types of the words and meanings. First, eternal which are from Almighty God and second, natural made by human beings. Eternal word meanings are always from Vedas i:e., from God. After listening/ studying Vedas, human beings become learned and then based on their own natural knowledge; they make their own words and meanings, literature etc. But it is very much clear that in the absence of knowledge of Vedas, no one can become learned. Nowadays, also people live in dense jungle and do not lead a civilized life because they are not learned as cited above. Vedas are not sects because they emanate directly from God and there is one God for all human beings. God creates sun, moon, air, water, food etc., which are meant for the best use of all human-beings for their long, happy life. So are the Vedas.